The No. 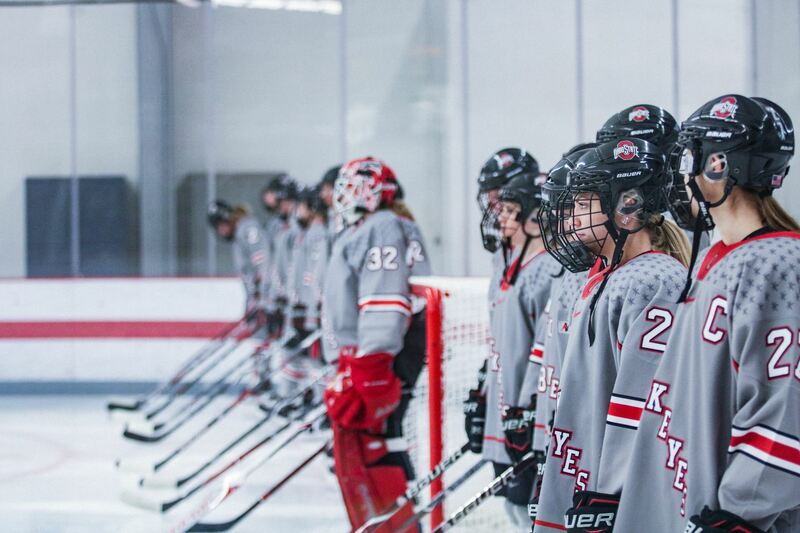 6 Ohio State women’s hockey team closed out the first round of the Women’s Collegiate Hockey Association tournament with a 5-2 victory Saturday at the OSU Ice Rink to complete a sweep of Minnesota State. The Buckeyes (23-9-4, 14-6-4 WCHA) combined to score 11 goals in their two games against the Mavericks (5-28-1, 3-20-0 WCHA) this weekend. That is the most goals they scored in a two-game weekend series the entire season. Goals from junior forward Maddy Field and freshman forward Emma Maltais allowed the Buckeyes to take a two-goal lead in the first period. Freshman forward Tatum Skaggs scored a third goal for Ohio State with less than three minutes remaining in the second period to give her team a 3-0 lead. Minnesota State scored a goal with two second remaining in the second period before Field scored her second goal of the game. 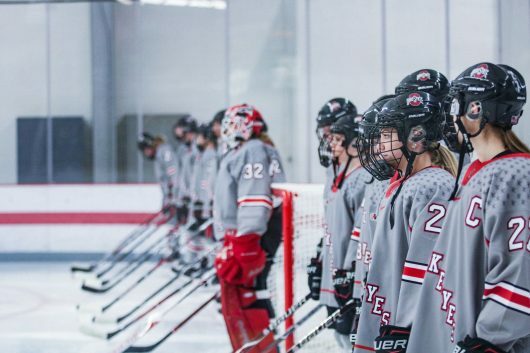 The Mavericks scored a second goal, then Skaggs iced the game with an empty-net goal with less than a minute remaining in the game to increase Ohio State’s lead to 5-2. It was Skaggs’ 22nd goal of the season. The Buckeyes did not let up when the puck came into their defensive zone the entire weekend. While redshirt junior goaltender Kassidy Sauve sat out of the first round due to injury, freshman goaltender Amanda Zeglen protected the net for the Buckeyes. Zeglen only allowed two goals, which were shot by Minnesota State junior forward Jordan McLaughlin and senior defender Anna Keys. Zeglen saved 29 of the 31 shots that came her way. This close to the finals, the Buckeyes did not need much motivation to finish the weekend as strong as they started. The Buckeyes will travel to Minneapolis, Minnesota, for the WCHA semifinal on Saturday. They will take on Minnesota. Next: All Jokes Aside: After Ohio State buys iPads for all freshmen, can the university fix its mental health services?